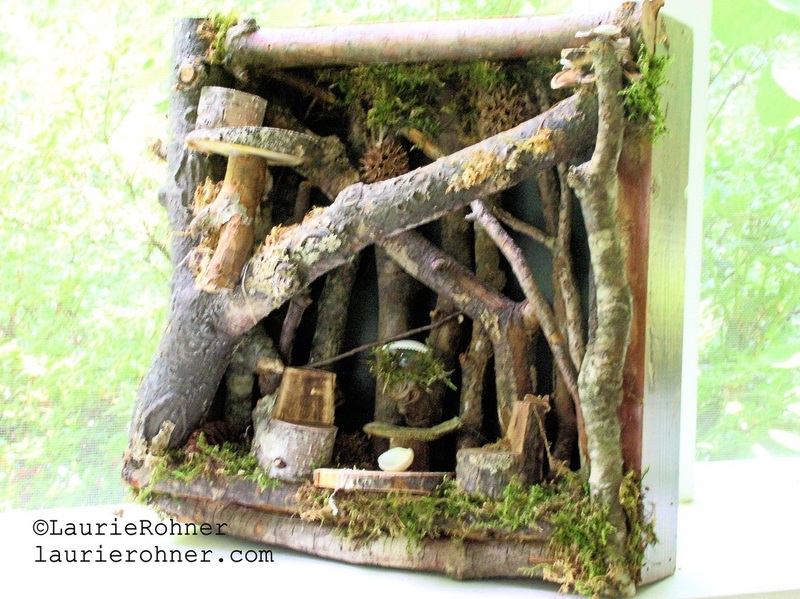 Twig Fairy Nature Art Nighttime in the Woodland Enchanted Forest Handmade Sculpted One of a Kind by Laurie Rohner for Between The Weeds. 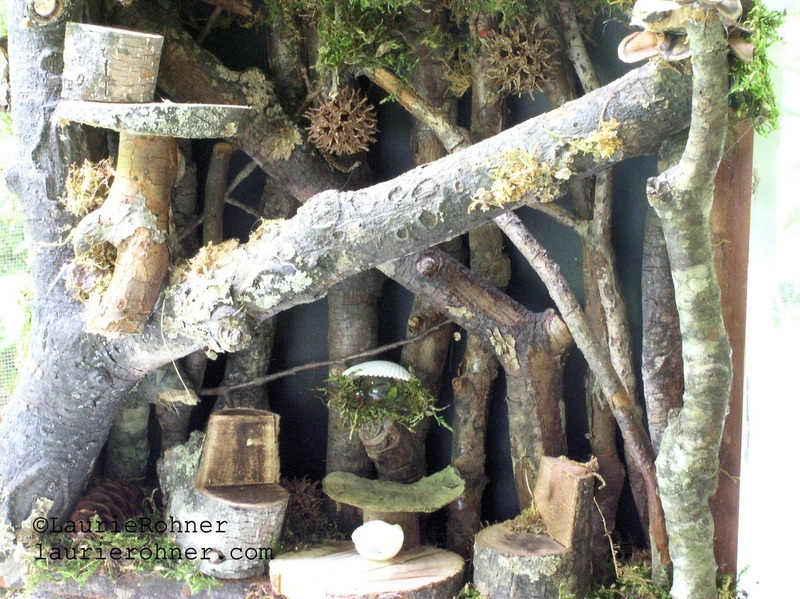 It is nighttime in the woodland enchanted forest and the fairies have come out to play in their magical wall nature art. 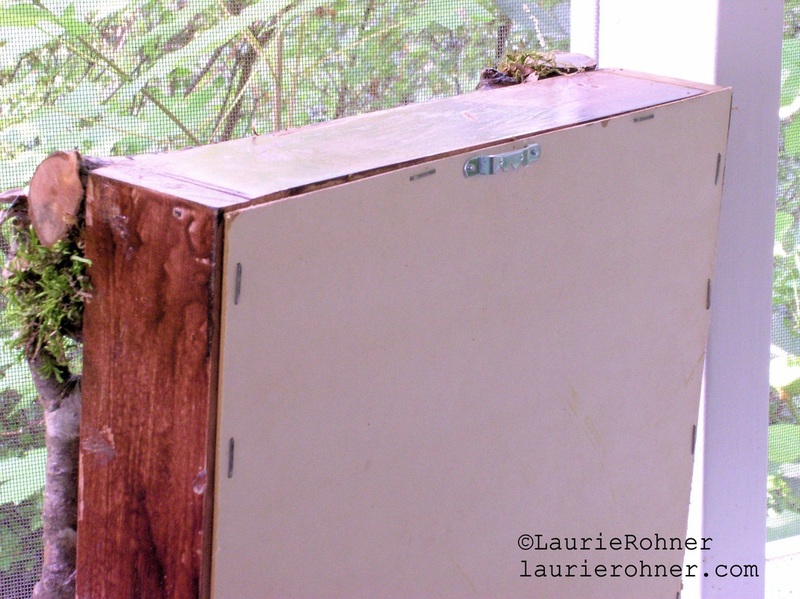 I first handmade a wood box frame, then started to fit the branches inside to finish with chairs and tables tucked in the nooks and crannies of this whimsical fairy house. House Measures: 11 x 12 x 6 inches. Great for all ages and ready to hang anywhere you think the fairies will like. 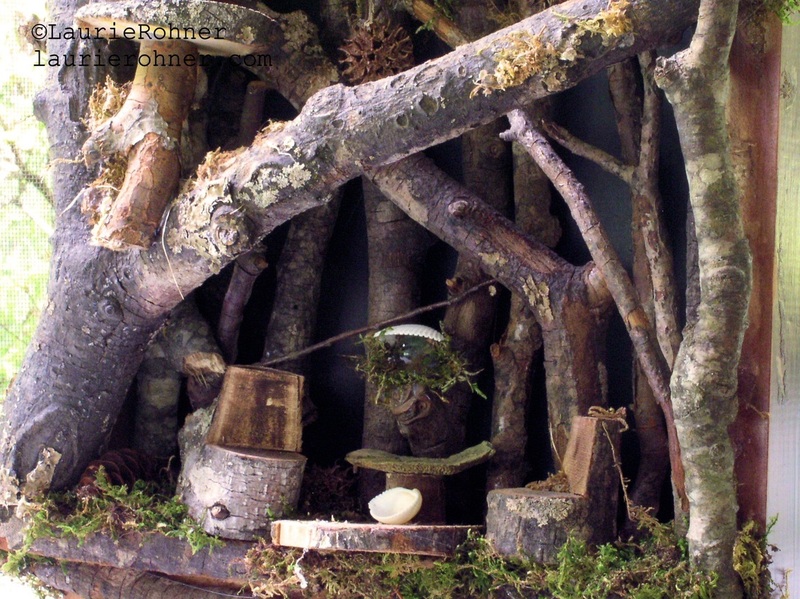 Buy my mystical magical Woodland fairy houses with whimsical handmade fairy furniture crafted originals. When you buy only here get the fairy name who will live in your house with the fairy blessing.